Exporter of a wide range of products which include outdoor vcb panel. 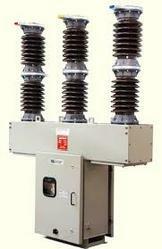 We are one of the leading manufacturer of outdoor VCB panels from 11kV to 33kV systems. Our Vaccum Circuit Breakers are suitable for 0 deg C to 50 deg C temperature. Looking for Outdoor VCB ?